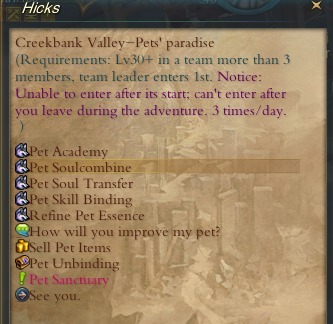 Pet Soul Combine guide request by member. 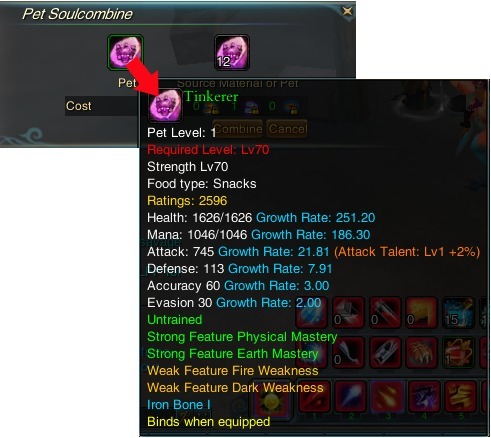 Pet soulcombine mianly is to upgrade pet talent by combine 2 pet talent into 1.
source pet use for upgrade another pet it talent must be same or higher. 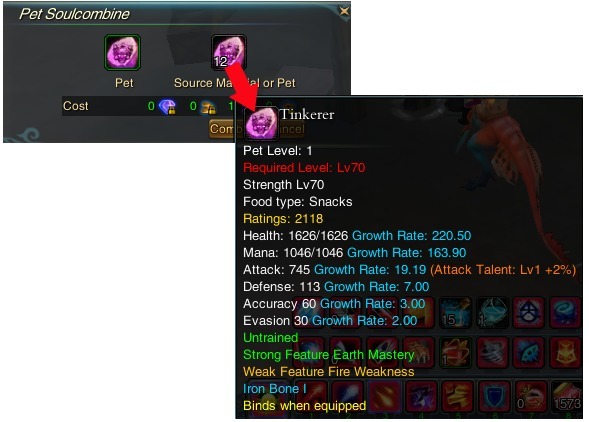 Before start there is an important reminder the source Pet use for combine into another Pet will be destroy. 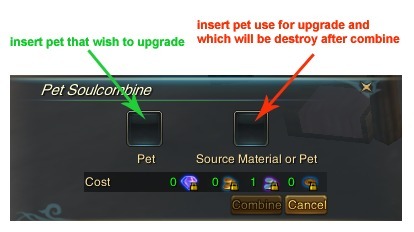 It may have chance to fail the result is will have no change on the talent and the source pet will still be destroyed. 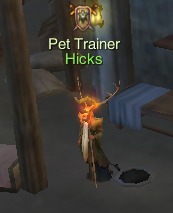 Type of pet is not required any type can be use for any other type, Lv should not be have a difference of lower more then 20 Lv.it mean lv 10 pet can be use as source pet for a lv 10 or 30 pet but not lv 50 or 70 pet, and lv 30 pet can be use as source pet for a lv 10. 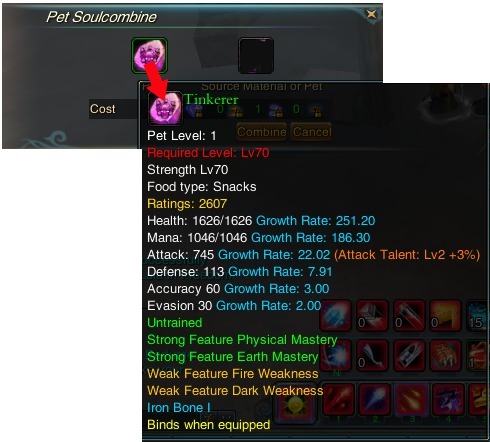 30 or 50 pet but not lv 70, lv 50 and 70 pet can be use as source pet for all lv pet.